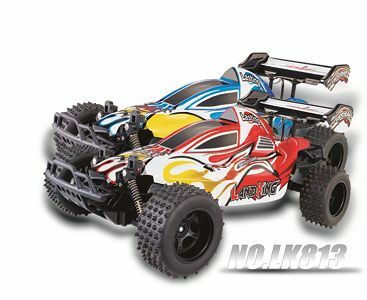 Description: Battery version of car:LI-ION 7.4V 380mAh battery with USB charging line Batteries for remote controller：4*1.5V AA Play time:8~10 minutes Channel:4 channels Frequency:2.4G，2 Drive Charging time:About 3 hours Distance:About 50 meters Speed:About 15~20 kilometers/hour Function： 1. With independent torsion shaft damping suspension system, can effectively reduce the damage of the car on the bumpy road, let the car run more stablely on the bumpy road, improve off-road performance. 2. The body frame is made of high quality anti-collision material, effectively improve the car's crashworthiness and resistance. 3. The maximum speed is up to 20 kilometers per hour. 4. 2.4Ghz remote controller, long remote control distance, without string frequency, support many people controlling at the same time. 5. The car shell is high toughness PVC explosion-proof shell, strong collision resistance. 6. Professional off-road rubber tires, anti-skid, wear-resistant, suitable for many kinds of terrain. Features 1. With independent torsion shaft damping suspension system, can effectively reduce the damage of the car on the bumpy road, let the car run more stablely on the bumpy road, improve off-road performance. 2. The body frame is made of high quality anti-collision material, effectively improve the car's crashworthiness and resistance. 3. The maximum speed is up to 20 kilometers per hour. 4. 2.4Ghz remote controller, long remote control distance, without string frequency, support many people controlling at the same time. 5. The car shell is high toughness PVC explosion-proof shell, strong collision resistance. 6. Professional off-road rubber tires, anti-skid, wear-resistant, suitable for many kinds of terrain. Description: Remark: 1.Battery:7.4V(1100mAh)Li-ion Battery 2.Battery of romote controll :6*AA battery (not include) 3.Charging Time:about 3 hours 4.Using time:8mins 5.Control distance:within 60 meters 6.Channel:4 CH 7.Protection:Overdischarge, overload protection Function: 1.Model scale car,with digital turn left,turn right,go forward,backward and stop function. 2.With high quality,super power,digital stop function accelerator. 3.Highest speed about 30 to 32 kilometers per hour. 4.With 2.4Ghz control 5.Use Spring shock-absorber system.